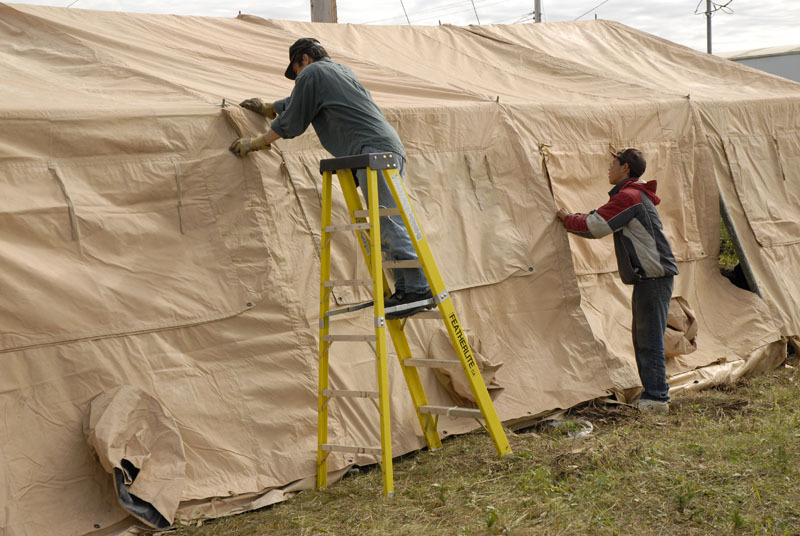 In March 2007, the hamlet council of Aklavik voted to allow Myth Merchant Film's request to exhume Albert Johnson's body as the filmmakers ensured they would unearth the body both professionally and respectfully. 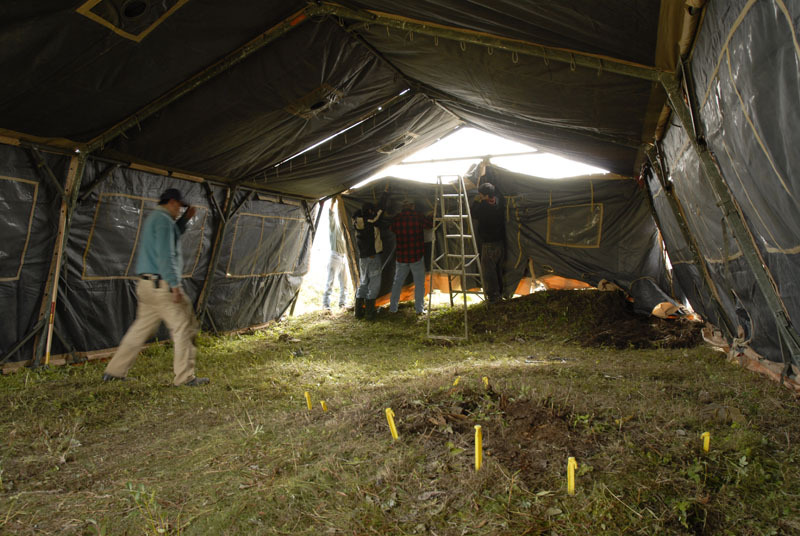 During the summer of 2007, the documentary film crew, with the help of excavators and scientists, spent several days exhuming the remains of Albert Johnson, in an attempt to discover the true identity of the Mad Trapper. 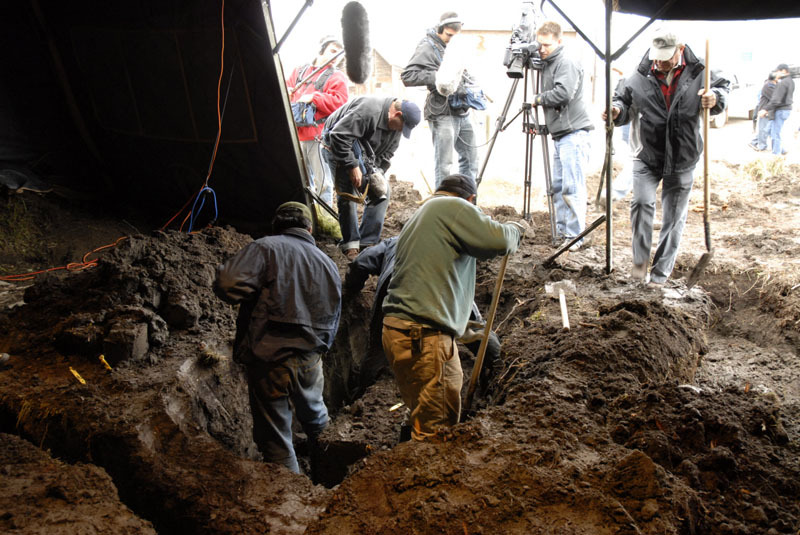 The excavation process itself proved to be more complicated than the crew had theorized. Three quarters of a century had lapsed since Albert Johnson was buried; a once isolated gravesite was now surrounded by dear departed Aklavik community members. Where it was thought the sought after coffin could be found, it was not. On the verge of defeat, producer Dennis Allen had an idea. He made his way to the Joe Greenland Home for Elders, and discovered a resident who recalled, with great accuracy, where the body of Albert Johnson was laid to rest. The remains of the Mad Trapper were finally within their reach. Before removing the coffin from the earth that surrounded it, prayers were offered to the long deceased fugitive. 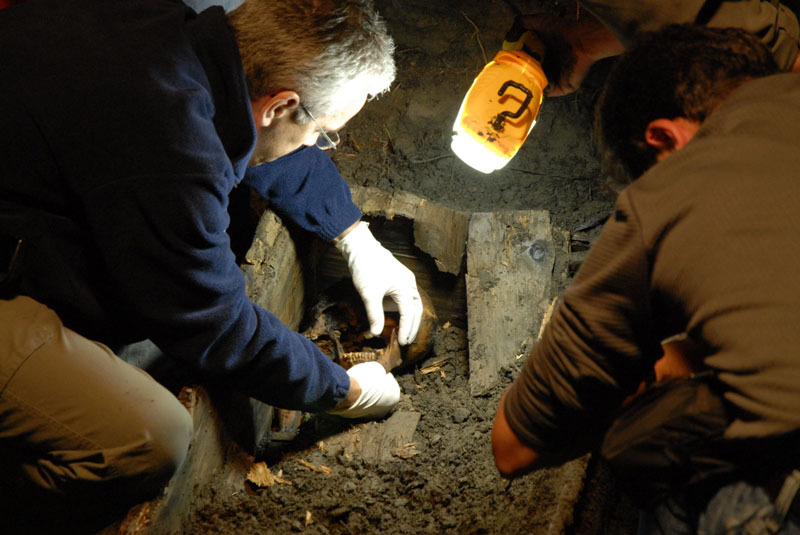 Once respects had been paid, the team of forensic scientists began the once in a lifetime experience of examining the remains of Canada's most notable renegade. 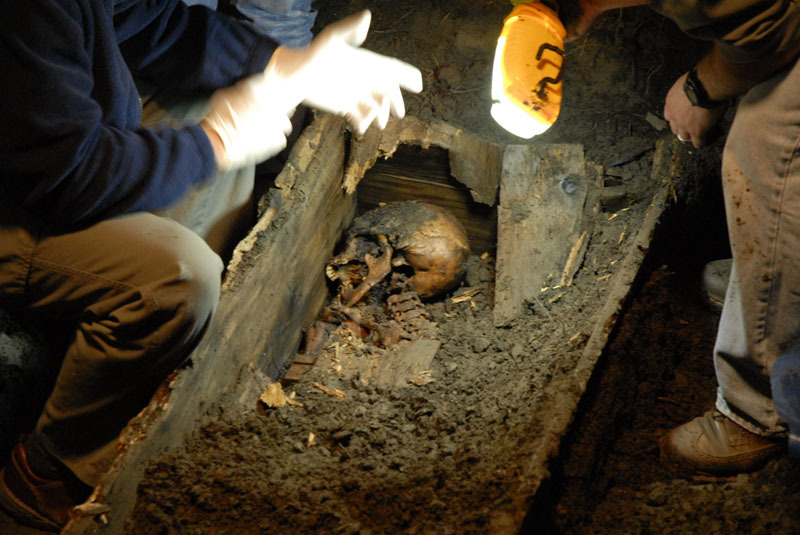 While the clothing had long since deteriorated, there were what appeared to be wisps of hair remaining on the skull. The skeleton also had fingernail traces and well-preserved teeth, which with the help of 1930s dental records, were used to determine the body was authentically that of the Mad Trapper. 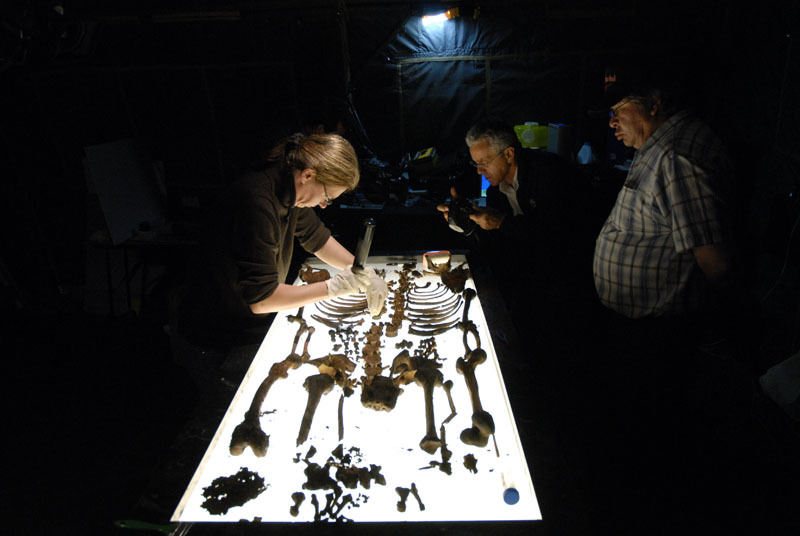 The dental remains that were unearthed also proved to be the most exciting find for Dr. Lynne Bell and the team of forensic scientists. The teeth revealed what appeared to be sophisticated dental work, which suggested that the Mad Trapper was the descendant of an affluent family. The dental remains recovered were expected to provide important details in uncovering Johnson's unknown familial origin. Post-examination of the skeletal remains of Albert Johnson, he was appropriately laid to rest in a new coffin before returned to his grave. With the information gathered from the search, it is expected that we are closer than ever before to learning the true identity of a man who marveled the world. For more information on the exhumation of the body of Albert Johnson, you are recommended to read Barbara Smith's book, The Mad Trapper, Unearthing a Mystery, Heritage House, 2009. Click here to order your copy!